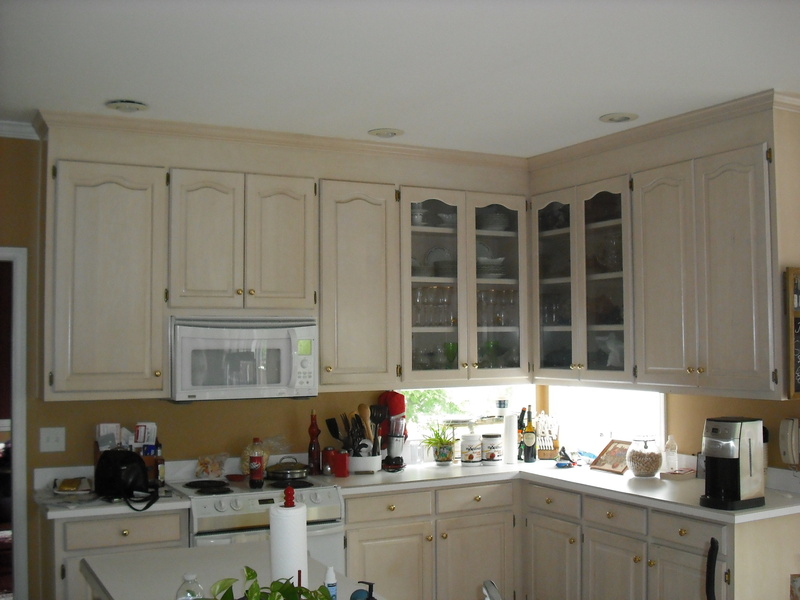 Excerpt: One trend that we are seeing from our clients here at Jim Hicks Home Improvement is having the Kitchen Island cabinet a different color than the base and wall cabinets in the rest of the kitchen. It can serve to break up the monochromatic feel of the kitchen and serve as an interesting design piece! 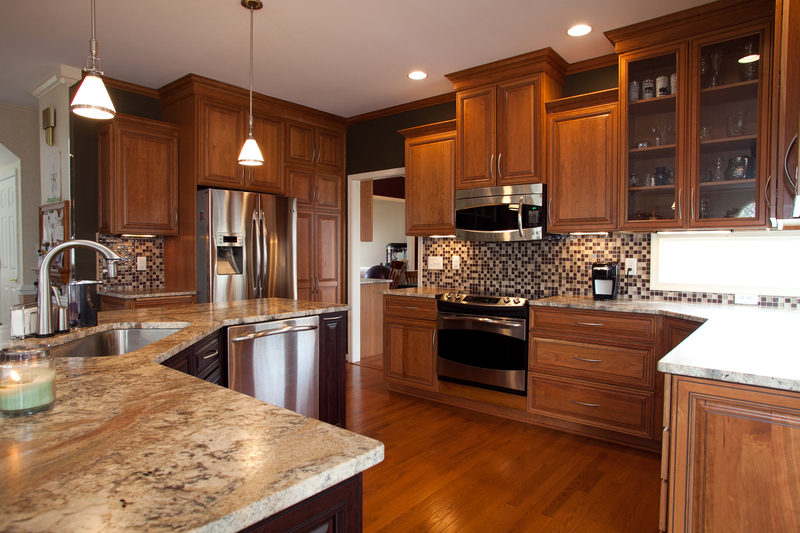 It definitely creates interest and depth to a beautiful kitchen such as this one in Newport News! You’ll also notice this kitchen has a tile floor, the wall cabinets are 42″ high to the ceiling with one 30″ wall cabinet being staggered in height to create interest…. 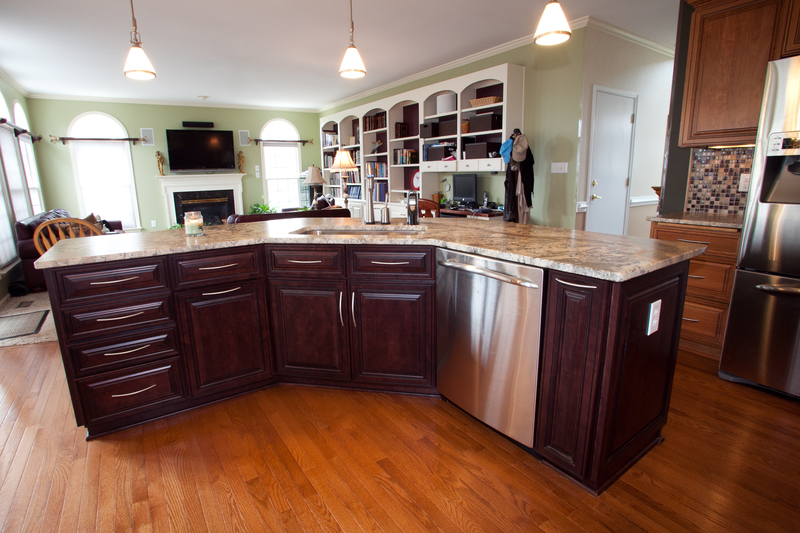 This is a gorgeous kitchen remodel in Yorktown Virginia! 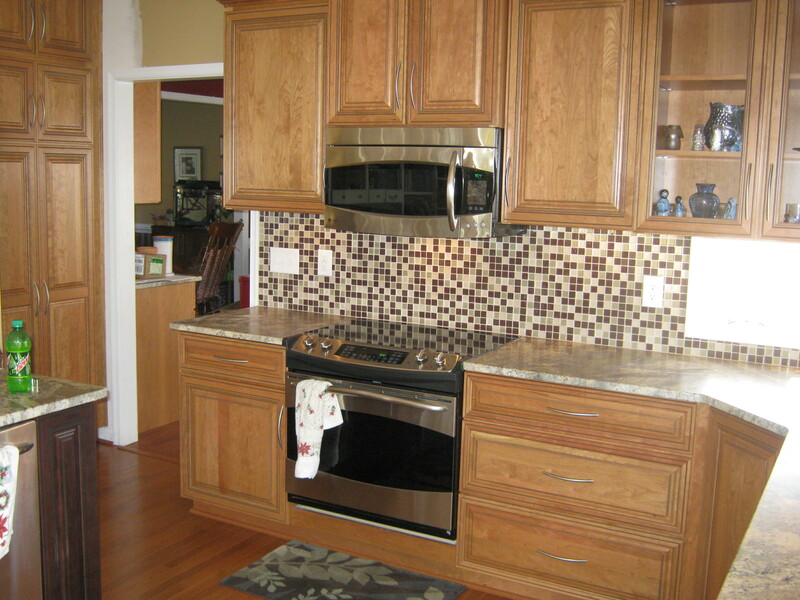 Tile backsplash, kitchen island, custom cabinets with granite countertops, pendent lighting, hardwood flooring and new appliances were all part of the new kitchen remodel in Yorktown. 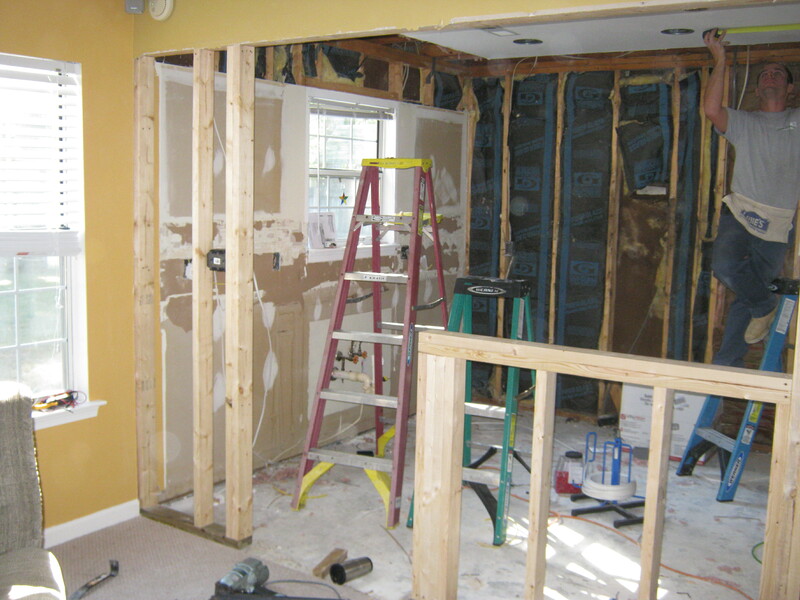 To truly appreciate the entire kitchen project, scroll to the bottom of the post and see the “before” pictures of the kitchen, then scroll up through the “during” shots of the kitchen remodel and watch it all come together into the beautiful finished kitchen that you see here!